Are you ready for a history unit study that makes history fun? A history unit study that isn’t Eurocentric? A history study that focuses more on culture and accomplishments than wars and conflict? I’m ready to introduce my kids to history that gets them excited to learn more and keep going. Ready to see the unit study now? Here is the Ancient Egypt Unit Study. or scroll down to check out the sample! 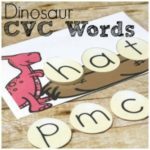 Simply put – because it’s interesting! Egypt has such a rich history. It makes an Egypt unit study really exciting to work through. Not only can we study their great achievements, like the pyramids, but we know little details, like the games they played for fun. Egypt is a great way to start learning history. First of all, it takes place near the beginning of recorded human history. Ancient Egypt is one of the earliest civilizations that we currently know about. From a chronological standpoint, it makes sense to start with a civilization like Egypt. Plus, Egypt had a long period as a united civilization. They lasted for thousands of years as a civilization giving us so much to learn. While a lot changed over those years, a lot also stayed the same. Since we can read the writing left behind from Ancient Egypt, we know a lot about how they lived. We know a lot more about them than most other civilizations at the time. Finally, Egypt’s history is fascinating which is a great way to get kids (and adults) excited about history. If we can start with a study like Ancient Egypt, we can get them ready to learn even more history after. 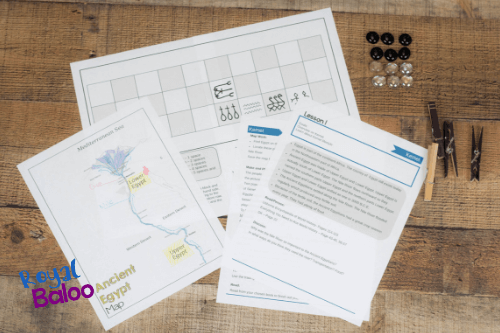 This Ancient Egypt unit study is literature based but also includes hands-on activities. However, there’s a lot more to it as well! There is a book list that covers non-fiction, historical fiction, picture books, and mythology. None of the books are required for the unit study but there are two spines that are highly suggested. Here is the book list. You can check to see what is available through your library system before buying the unit! I recommend choosing one fiction book to read throughout the unit study and picking up as many of the other books as possible. We do our best to utilize our library system for as much as possible. My kids learn best through hands-on activities so each lesson includes at least one hands-on activity. It may be art, STEAM, games, or something else. My goal was to have a good variety so they don’t get bored by doing the same types of activities over and over. The hands-on activities seem to capture their interest and also cement some of the ideas in their memories. It’s one thing to learn about mummies and another thing to make canopic jars that hold the liver, intestines, lungs, and stomach. Games are such a fun way to learn about any subject. 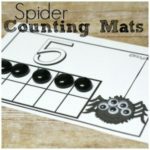 We do our best to involve games in our homeschool at least once a week. Games are also a great way to immerse yourself in another culture. Every unit I make I try to include at least one game. It’s easy to include maps and geography in a history lesson. We do that through maps and globes. Globes are great for relating places to where we are right now. Maps are a great way to see what it was like back then. The Ancient Egypt study includes a map of Egypt as it was thousands of years ago! While the unit is mostly intended for an elementary age audience, I’ve included middle school age note-taking pages and writing prompts. Older kids can surely do the rest of the unit study but the inclusion of the middle school pages will make it more appropriate for older kids. I added these pages for my oldest son. He likes to participate in what his younger brothers are learning but I also need him to work at a higher level. The extra pages let us work together but also make the work more appropriate for him. The unit study also includes links to videos to watch, other games you can play, and vocabulary words. 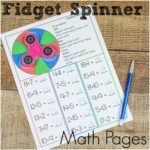 These extras are a great way to exhance the learning and get even more out of the unit study. The unit study is intended for elementary age kids. But there are pages to make it more applicible to middle school age kids. Yes! There is some mention of Egyptian mythology and religion as it is relevant to the unit and history. Yes! Scroll down and you can download a sample day from the unit study. Aside from the cost of the unit study, the costs can be kept very minimal. There are no required books so you can save money by using your library system or an online audio book system like Epic or Audible. Every day has a hands-on type activity. But most of the materials should be household items. If you’re ready to see what this unit study is all about, feel free to download the free sample first! It’ll show you what one lesson looks like for Ancient Egypt! This lesson discusses a bit of geography from Ancient Egypt with a matching map. And it includes a printable version of the game Senet! Ready to check out the full thing? 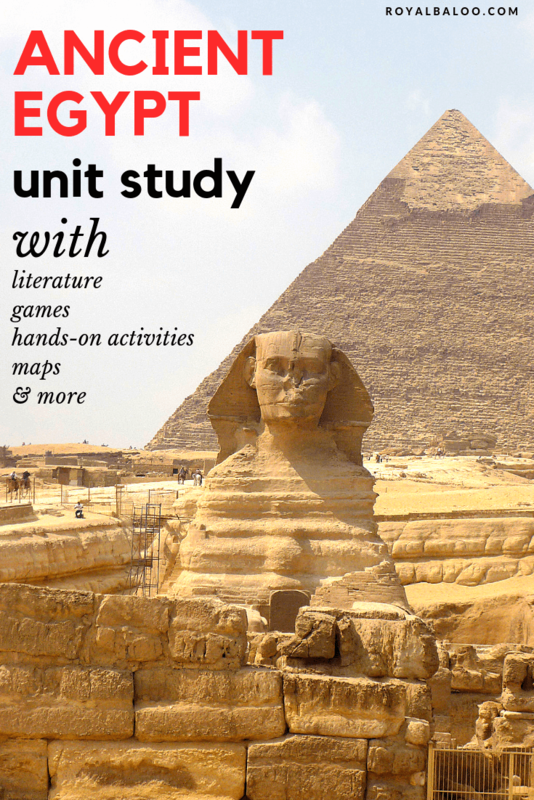 Get the whole unit study with 9 separate lessons that cover everything from Pyramids to famous Pharaohs.